NEW CONTEST! 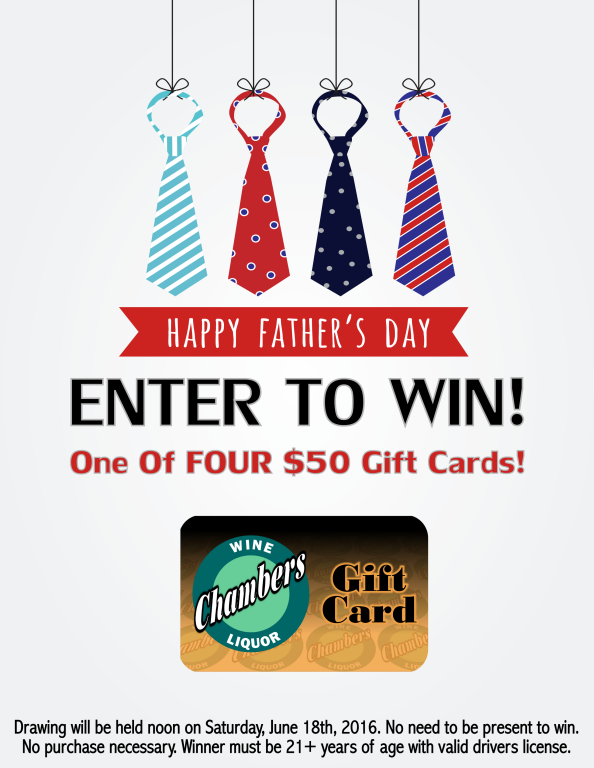 YOU CAN WIN ONE OF FOUR $50 GIFT CARDS FOR FATHER'S DAY! See below for details. ALL Colorado Wines are still 20% OFF! Check all our weekly coupons here. It's Bourbon & Whiskey Time! See below for details! Our June Beer of the Month is Sam Adams - SAVE $1.50. If you haven't already, please take a minute to read about the Keep Colorado Local petition below. This is very important and we appreciate your support. You Can Win For Father's Day! 6 Packs All Types - SAVE $1.50! Our Weekly Specials include a great selection of your favorite Bourbon Whiskey. Perfect to enjoy on a relaxing evening; straight, on the rocks or in your favorite mix. Enjoy! • All Colorado Wines – 20% OFF with coupon! • Guinness Nitro IPA 6 pk – SAVE $1.50 with coupon! Click here to see Coupons. Offers valid through expiration date. Limited to quantity on hand. No rainchecks. Out-of-state corporations are bent on boosting their profits by selling alcohol in chain and convenience stores, endangering hundreds of local businesses throughout the state. It’s the little guy versus the big corporations. 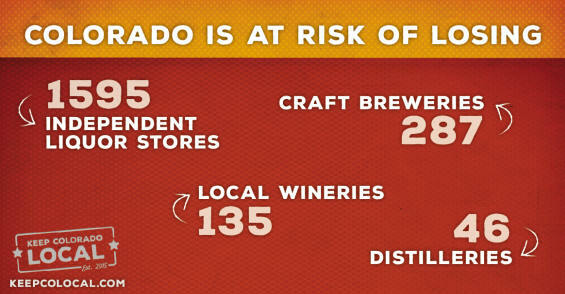 Local liquor stores are at risk, as well as Colorado’s craft breweries, local wineries, and craft distilleries. Colorado liquor stores like Chambers Wine & Liquor, have teamed up with Colorado’s craft brewers, vintners, and distillers to fight this and KEEP COLORADO LOCAL. We’re a coalition, not a corporation, and we need you to join us. Chain stores selling alcohol will force hundreds of Colorado’s small businesses to close, and it will reduce our selection and choice of beer, wine, and spirits, since chain stores can’t stock small local brands or a wide-array of choices. And it will hurt our state’s economy by sending profits to an out-of-state corporation instead of investing them here in our communities. Big chain stores plan on spending tens of millions of dollars to get what they want. So we need you and your network on our side to KEEP COLORADO LOCAL. Please add your name to the petition to keep these corporations from watering down our choice, selection, and craft culture. Copyright © 2016 Chambers Wine & Liquor. All rights reserved.